After our first game victory of the Easter hockey tourney, we were in need of eats. Actually, I was in need of eats before the game, it only served as a conduit. Yah, I'll admit it. I often daydream while playing hockey, softball and golf. The thoughts of a bakudanyaki often replace a softball, a crab cake doubles as a puck and a juicy meatball for a golf ball. What can I say, I have a one-track mind! It probably explains the crappy goal I let in through the 5-hole in the last half of the game. Oh whatever, we won 5-1, now time to eat! 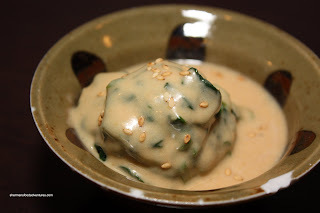 We tossed a few ideas around and it always seemed to come back to Japanese. The question was where? Being in Coquitlam right next to the Port Mann bridge presented many options; yet none of them exactly close. 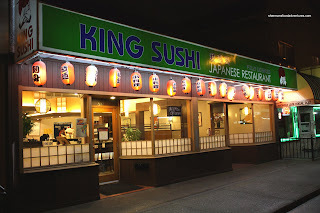 Finally, Lionel Hutz suggested an ol' New West favourite - King Sushi. "Hey, who ordered the chicken nuggets?" 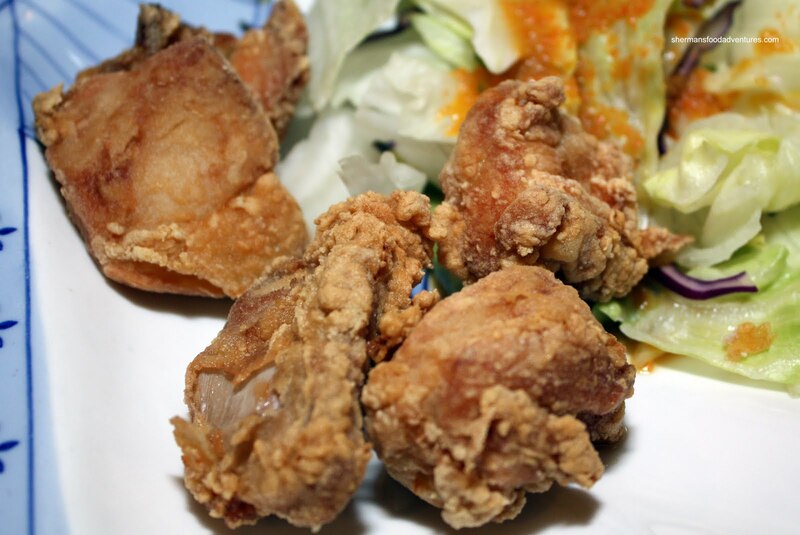 was the initial question when the Chicken Karaage arrived. Well, unlike its AYCE version, chicken karaage is not necessarily fried chicken wings. More often than not, it'll be pieces of leg meat. These were pretty good (green salad on the side) with juicy meat and a crispy ex terior. 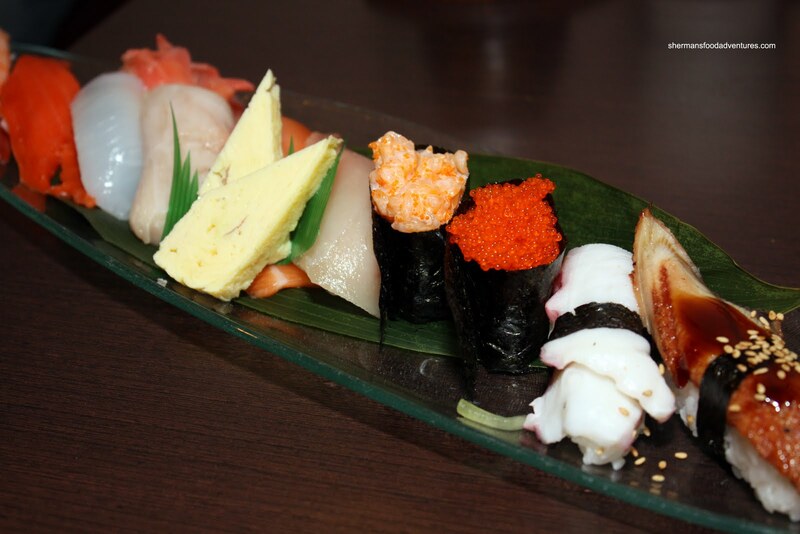 We got more raw stuff in the form of the Chef's Choice Assorted Nigiri. Luckily there was one item that Picachu could eat - the unagi. Also on the plate was tako, tobiko, scallop & tobiko, tuna, salmon, toro, ika, wild salmon and ebi (with 2 pieces of tamago). Once again, everything was quite fresh and neatly presented. The sushi rice was actually quite good exhibiting a nice chewiness without being undercooked. 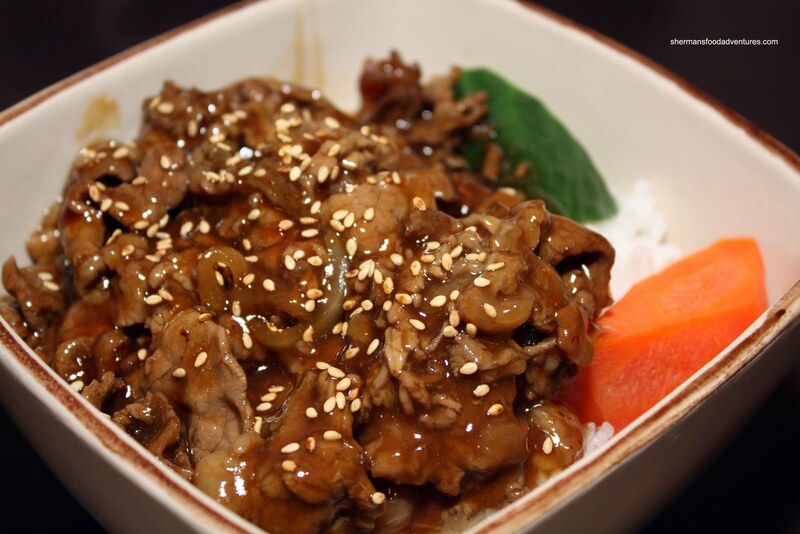 Exclusively for Picachu (well, not really, we ate some too), we got the Teriyaki Beef Donburi. When it arrived, I was a little concerned. Look at it, there seems to be quite a lot of sauce. Mind you, there is a generous amount of beef as well. After a couple of scoops, it was indeed too saucy and thus overly sweet & salty. That's really too bad since the beef was quite good while the rice was properly prepared (being slightly chewy). The sauce also counteracted the rice by softening it up. And what is a visit to a Japanese restaurant without a few rolls? Well, we all agreed to not order anything remotely close to a California Roll. No offense to the CaliRoll, in fact, I don't mind it; but we just want something a bit different. So we got a Red Dragon Roll and a Spider Roll. 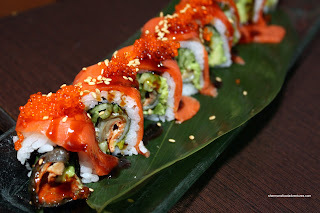 The red dragon is essentially a BC Roll topped with smoked salmon, tobiko, unagi sauce and sesame seeds. Nothing Earth-shattering here; but a solid roll nonetheless. What I particularly liked was that the smoked salmon didn't overwhelm all the other flavours. As for the spider roll, it is not a bunch of creepy crawlers from the corner of your basement. 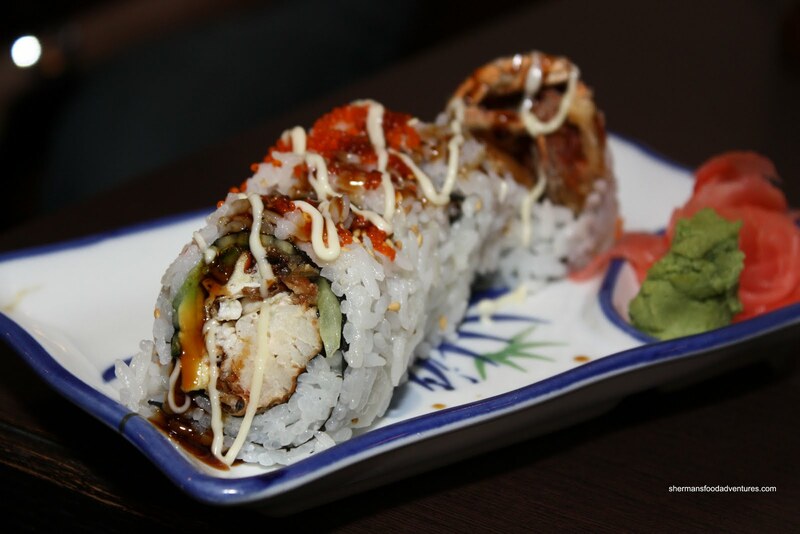 Rather, it is a roll consisting of fried soft shell crab, avocado and cucumber topped with mayo, special sauce and tobiko. Once again, a solid roll with plenty of filling and minimal amount of rice. I would've preferred the crab to be a bit crispier; but that is a minor issue. 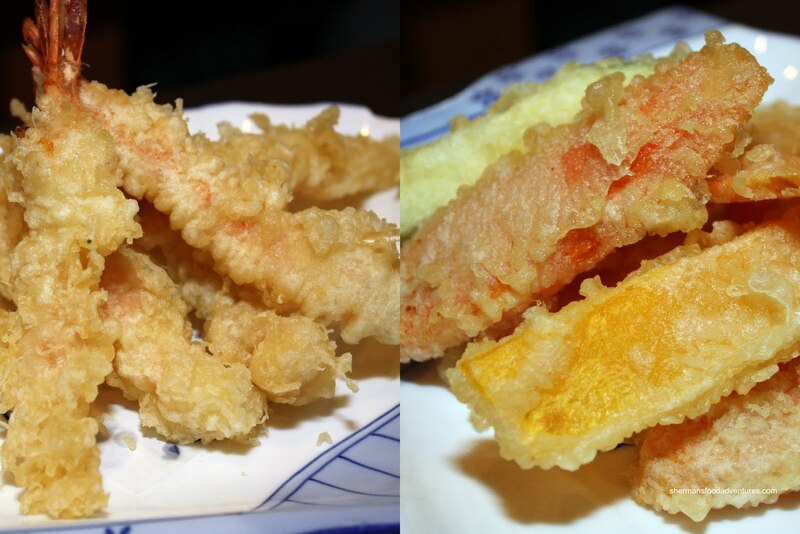 To fulfill our deep fried quota, we got both the Vegetable Tempura and the Prawn Tempura. It would've probably been more cost efficient to get the assorted tempura; but there would've been only 2 pieces of prawn to split among 5 people. Thus, we had to order both to get a bit of everything. Normally, I'm not a big promoter of AYCE Japanese; but if you prefer items like prawn tempura (since 6 pieces already costs us $7.25), it is a good value (assuming it's good). And about that tempura, it was pretty decent. I t was crispy, not very oily with properly cooked veggies and prawn. Possibly, the batter could've been a bit lighter; but again, not a major issue. 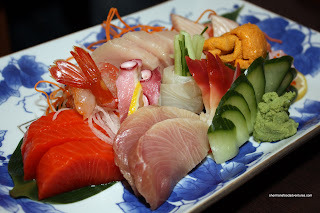 The non-sharers also enjoyed their meals and as a consensus, King Sushi is a decent choice in New West. Once again, if it was located in Vancouver, it would be hard-pressed to compete. 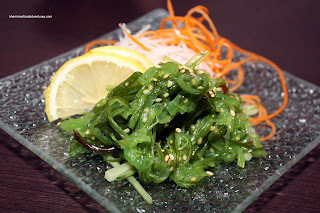 As we were dining, we noticed that the staff were not Japanese, which leads me to believe it's not Japanese-run. No real biggie since it didn't make a big difference in food execution (well, except for the Gomaae and Beef Don). Great post! I just moved to the New West/Burnaby area a few months back and have been hesitant to try out the local sushi market but had heard this was one of the better locations in town. 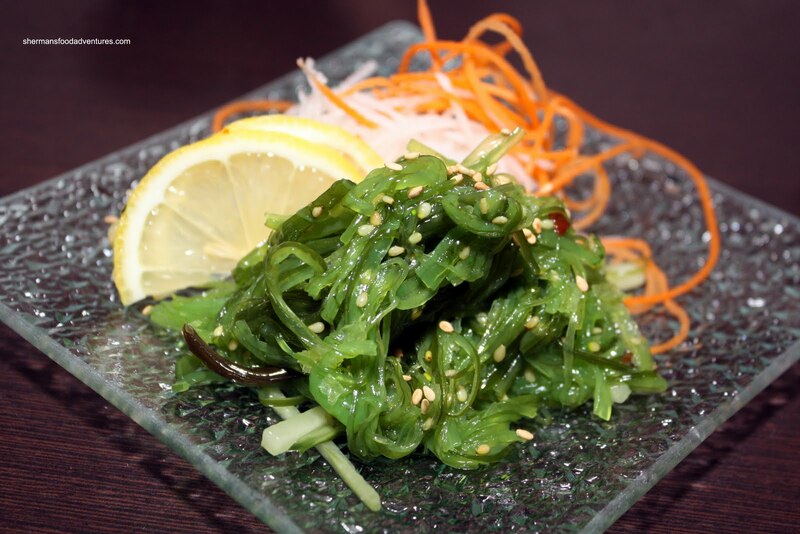 Have you ever tried Okoman across from lougheed mall in Burnaby? Hi Brad! 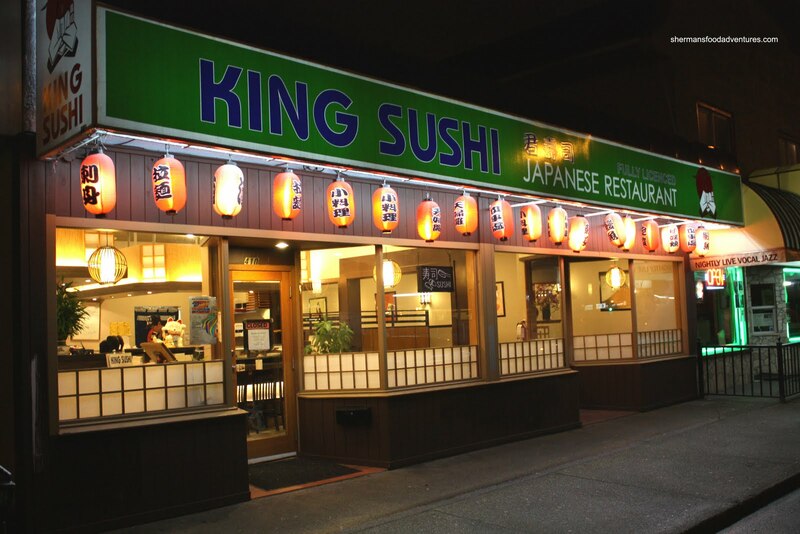 Yah, King Sushi does the job. However, I like Ki Sushi a bit more. 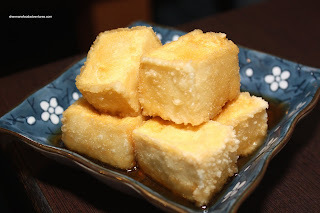 No, I haven't tried Okoman, but it will be soon, I always drive by it! Yah Kim, but, we experienced basically the same in the end which is what we both concluded - decent for where it is located; but... there is better. sushi in new west... hmmm... :) i agree with the gomaae, i hate when they drown it in sauce. but at least the tofu isn't drowning. i think new west needs some competition to bring the quality up and the prices down.